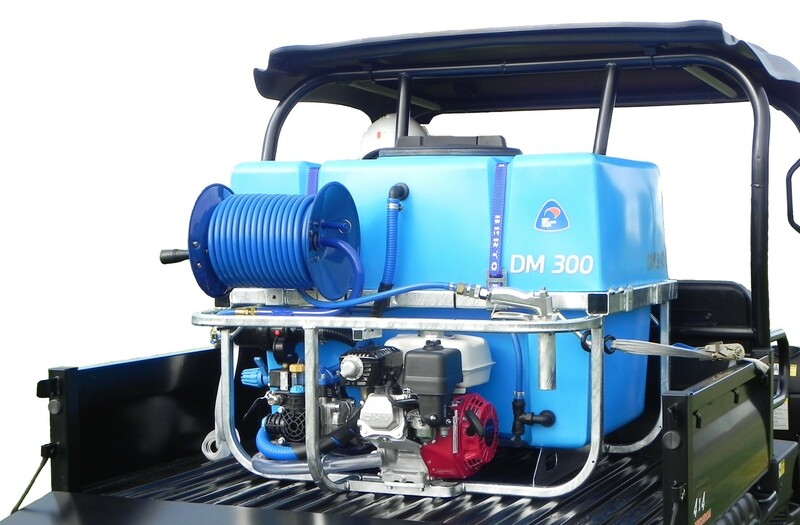 The DM 300 Litre Honda Driven Deckmount Sprayer comes with a Honda driven POLY2030 30 lpm 290 psi diaphragm pump, Venturi tank agitation, 30 metre EZI-Reel and SPOT-300 spray gun with swivel. The DM Series compact frame is designed to fit in the tray of most UTVs with the tailgate closed. 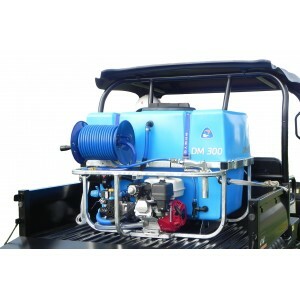 The DM 300 Litre Honda Driven Deckmount Sprayer comes with a Honda driven POLY2030 30 lpm 290 pso diaphragm pump, Venturi tank agitation, 30 metre EZI-Reel and SPOT-300 spray gun with swivel. The DM Series compact frame is designed to fit in the tray of most UTVs with the tailgate closed.